Home » Psychology » Download: Addiction and Recovery A Practical Guide. Download: Addiction and Recovery A Practical Guide. 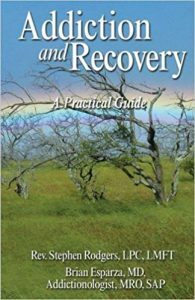 This book is written to be a practical guide about addiction and the process of recovery. Families, those impacted by this disease, and those with chemical dependency issues themselves will find this informational and helpful. Inside you will find ideas about how the disease gets started and what is going on inside the brain around addiction, tolerance, and recovery. There are many practical suggestions as to what you can do to help yourself and those in process of recovery. We also look at eight areas of life that are deeply impacted by addiction and helpful to recovery. We use chaos theory as a metaphor for recovery and look at the neurobiology of the 12 steps.